I would like some suggestions from the forum. I have about 40 6" squares that I would like to use for a lap quilt. what are some easy patterns to use, more than just sewing in a row? thanks for any suggestions. I can't help you with a design, but I know someone will be on here soon to help you. There is always someone to help you. use them as centers of stars. 40 would give you a decent size quit. Last edited by sarge1; 08-06-2013 at 04:58 PM. How about a Diamond Patch? Calls for 5" charms but I think you could substitute 6" without a problem or you could just trim them down. Last edited by auntpiggylpn; 08-06-2013 at 05:23 PM. Oooohhhhh, that is a pretty quilt! I love the purples but very scrappy would be cute, too. 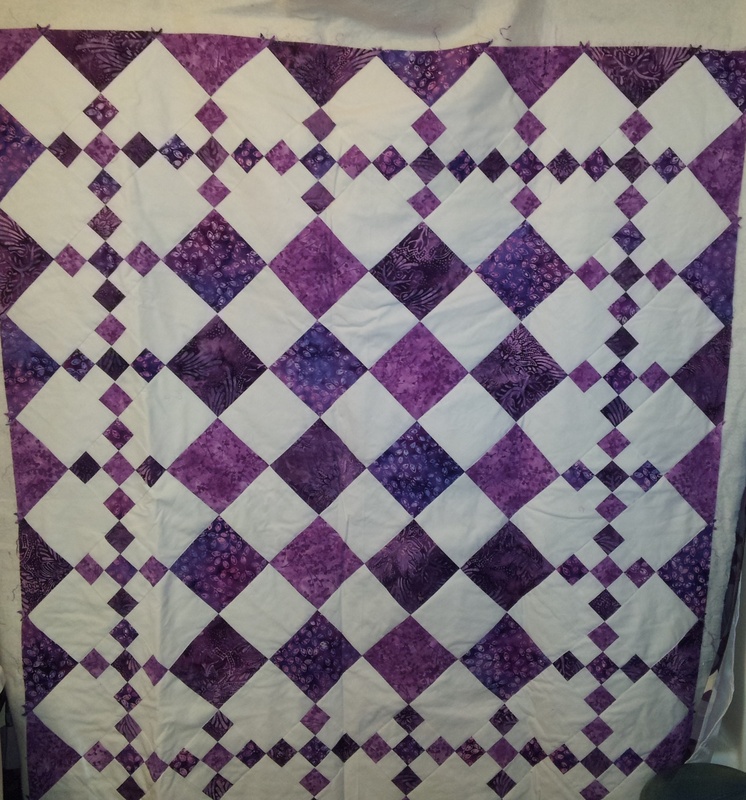 A very prety quilt, aunt. OP, as already mentioned, a Disappearing 9 Patch would work well with your squares. thanks for all the good suggestions and web sites! What wonderful ideas!! It amazes me what people find and post.